This package is designed for you and your loved one or a group of friends that just want to get away and be pampered and treated like royalty? Why not reward yourselves with a weekend retreat at Manata Lodge? Tranquil Manata rejuvenates & inspires all who visit, and is just 10 minutes from all the excitement Queenstown has to offer. Accommodation Capacity: 10 people. Minimum 2 people. Unlimited WiFi Internet access throughout your stay. Daily continental breakfast, served in your room. Perfect for groups or families, you can have full use of the lodge, our facilities and the internet & DVD library. Basket of fruit and wine on arrival. 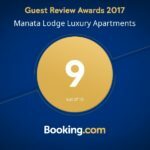 Queenstown is an incredibly popular destination for people who are getting married, and Manata is one of those places that Wedding Parties just love to take over for a few days so they can have a ‘home away from home while they get married or attend a loved one’s wedding. Manata has outstanding gardens, vines, ponds & mountain backdrops to take photos!